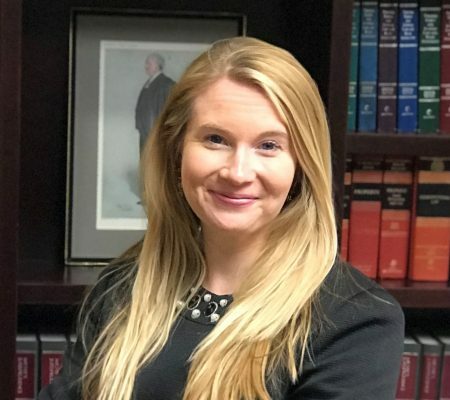 Cassandra Sheehan is a lawyer in Prince William County handling various types of domestic relations cases and other civil litigation for businesses and individuals, including but not limited to landlord-tenant and HOA/condo association matters and business lawsuits. She also assists with transactional work such as real estate matters, foreclosures, and contracts. Ms. Sheehan serves all of Prince William County, the City of Manassas and Manassas Park, as well as surrounding areas such as Fairfax County, Arlington County, Stafford County, Spotsylvania County, Loudoun County, the City of Fredericksburg, and Fauquier County. Cassandra works with Family Law Partner Maryse Allen and Associate Meg Patterson on domestic relations matters, custody and visitation disputes, the prosecution and defense of protective orders, equitable distribution of assets, child and spousal support, as well as negotiating and drafting marital settlement agreements and pre-nuptial agreements. Cassie works on adoptions, guardianships, name changes, and post-divorce enforcement matters. She is well-versed in litigation and zealously represents her clients in Court when necessary, but also works with them to resolve matters through negotiation, settlement conferences, and mediation. Cassandra additionally works with partners Heather Steele and Jason Hickman on a number of non-domestic civil litigation issues, including landlord-tenant, collections matters, issues faced by homeowners associations and condominium associations, business law, real estate transactions, civil lawsuits, contracts, and preparing LLC or corporate documents. In her spare time, she enjoys yoga, spending time with her friends and family, and trying to keep up with her book club reading list.